Description: If you like the double-breasted lapel collar style jackets then it is the perfect option for you. 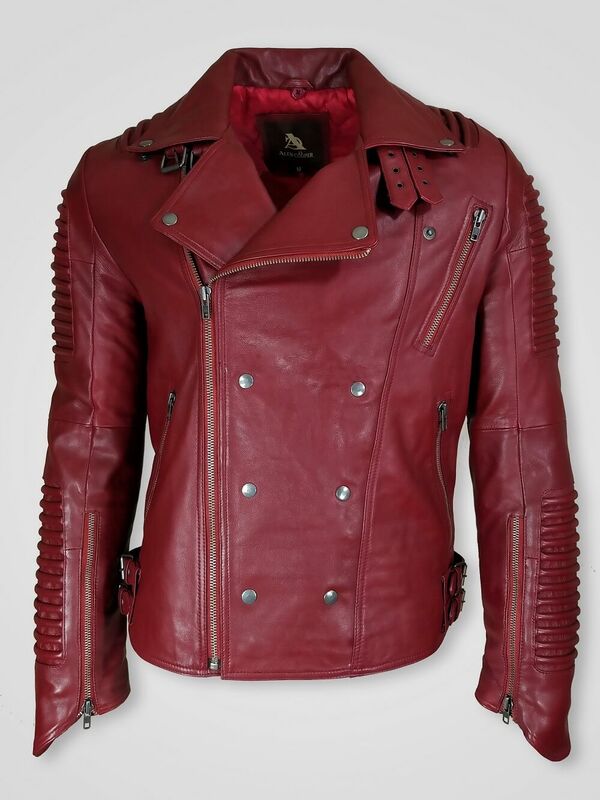 This jacket is of 100% real leather. It has satin lining in texture for adding glow and smoothness. Long quilted sleeves, asymmetrical front zipper closure, zipped side pockets, and peaked lapel collar style are the main specialties of this jacket which have made it stand out of the crowd. Storyline: In the late 1920s and 1930s, peaked lapel collar coats were in high demand. Most of the people considered it a great stylish product. Mainly lapel collar jackets were known as dinner jackets but the increased popularity dragged it into day clothing. And even making this type of collar and single-breasted jackets were too much challenging task to the tailors. The fashion experts at the end of the 1990s have combined the lapel collar style with real Italian finish leather jackets and crafted a unique style statement for both men and women.